Thinking of taking your next vacation to this marvelous city? 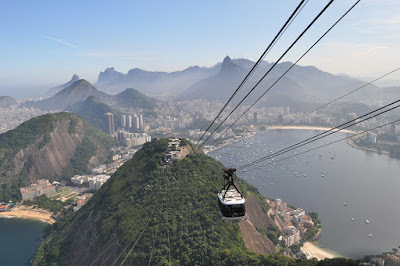 Well here are our top picks for the best places to eat, stay and play in Rio de Janeiro, Brazil. 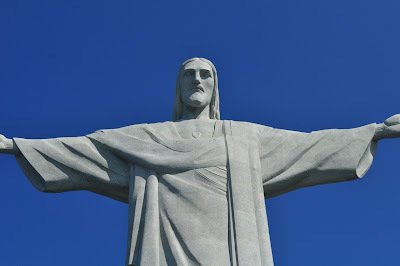 NOTE: Canadians must get a Visa to enter Brazil ($90 and expires in 5 years). I almost had to cancel my trip 4 days before because I missed out on this one little fact! So make sure you visit the Brazilian Consulate 3-4 weeks prior to your departure date. Feel like a true jet-setting princess and book your stay at Copacabana Palace - it's the place to live the fantasy of retro Rio glamour of decades gone by! 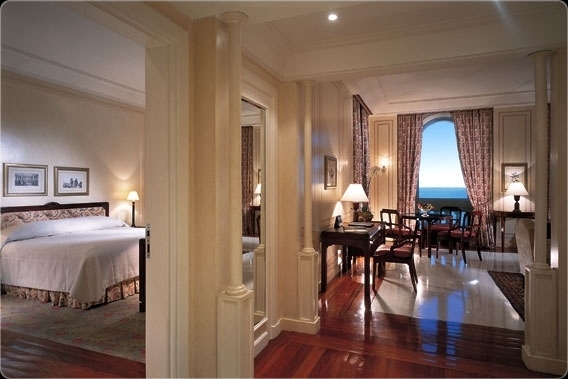 Built in 1923, the classic style guest rooms are not spared of elegance. City View Rooms start around $450 but if you really want to splurge and feel like royalty, upgrade to the Beach View Room and you'll be waking up to a post card view. Do all the touristy stuff simply because it's worth it! Corcovado - Christ the Redeemer and Sugar Loaf Mountain are a must-see. (Tip: you can book half/full day tours with your hotel but it's not necessary as you can easily show up at the sites and buy an entrance pass). The two main beaches are Ipanema (favoured by the locals) and Copacabana (what you see in the movies and attracts more tourism). They connect over a 6km stretch against a stunning backdrop of forest-covered peaks. 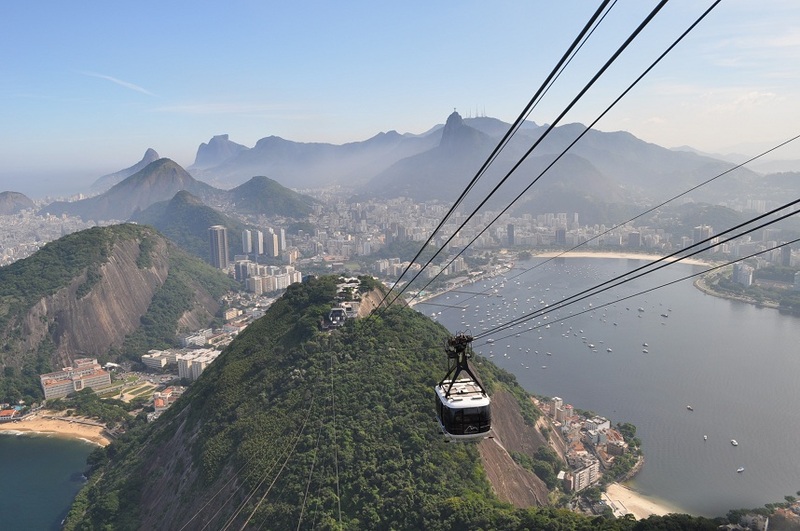 Centro is Rio's business district with all the trappings of a busy modern city. Stop in at the National History Museum which is housed in the former 1764 arsenal. Lapa is the former red-light district but is now reborn as the samba capital of Brazil. Party the night away at Rio Scenarium or grab a Brahma (Brazilian beer) at a tavern or dance hall (yes they still call them that in Rio)! Make sure you bring your camera because there are many old crumpling buildings here that make amazing photo ops! Love Brazilian food and want to make it in your own kitchen? Learn to cook the Bahian seafood moqueca, fried Manioc sticks or peanut molasses brittle in this English speaking, hands-on class with Simone. Drinks are included and you get to eat the meal after. Don't forget to soak in some real culture and schedule in a 3 hours tour through the Favelas: the slums of Latin America. LASTLY don't even think of leaving Brazil without catching a Futebol game (Wednesday or Sunday). This was my favourite part of the trip and one heck of an experience being in the middle of screaming insanity. Lets just say that Flamengo Fans love and hate just as passionately! Tip: Avoid scalpers and book game tickets directly with your hotel. Oh man I totally want to go here. By the way that suite looks amazing. Palace for sure.